There's a new homebrew N64 game, Funnelcube, which is pretty cool. 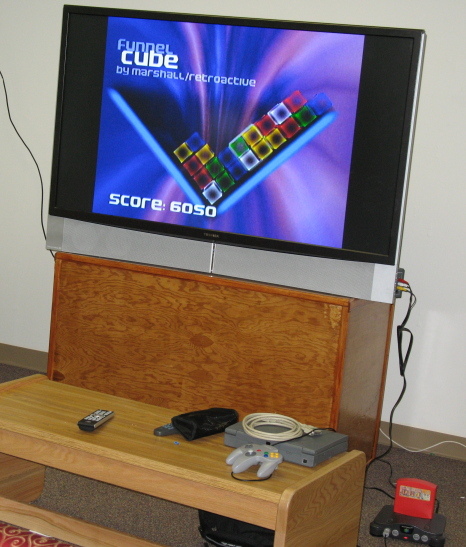 I finished my exams today, so I set up the ol' N64 and Dr. V64 jr in the lounge with the big TV and checked it out. 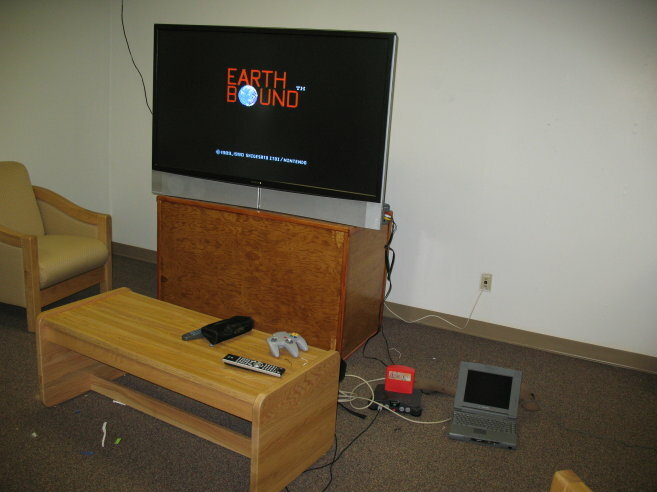 When I grew tired of that I spent an hour remembering how to use Neon64 and then played Earthbound Zero for a while. nice big flat screen. Now I wish to see high res games on it, or something like RE on the GC, PS2. Got my XO-1 (from the G1G1 program) today, took some pictures. i saw a big red rock today. yay. it seems australia is popular with the japanese (at least at uluru/ayers rock/etc) because i cannot go for 5 minutes without hearing the moonspeak. not too long before i get back, so yeah. Yay, passed Elementary Japanese with a C+. I just received a good talk from my music teacher, who launched into a rant about stuff. The tl;dr version of it is that we're paying all this money to the entertainment industry for hardware etc, but they're going BAWWW BAWW YOU WONT BUY CDS BAWWW. Why would they bother upping the prices, was his question. This inspired me to think about starting my own ISP which would use either fibre or wireless. Yes, this would be illegal. But it would be awesome.